Is it normal to feel sick after the flu shot? Add Flu Season as an interest to stay up to date on the latest Flu Season news, video, and analysis from ABC News. This a very common exchange across all primary care providers’ offices at this time of the year -- and a great opportunity to really try to understand why Mrs. Jones feels that the vaccines made her sick, and an opportunity for educational awareness about the flu vaccine. The influenza, or flu, is responsible for approximately 20,000 deaths per year on average in the United States, according to the Centers for Disease Control and Prevention (CDC). The American Academy of Family Physicians states that every year about 130,000 people go to a hospital with the flu. An effective, important way to protect yourself is by getting a flu shot -- which cannot actually give you the flu. There are many reasons why people don’t get the flu vaccine, but I hope that you will find facts and clarifications on common misconceptions about the vaccine below. 1. What is the flu? Influenza is an infection in the nose, throat and lungs caused by a virus. This may be the worst cold of your life. 2. What are some of the symptoms of the flu? The flu starts suddenly and hits hard. You’ll probably feel weak and tired, and have a fever, dry cough, runny nose, chills, muscle aches, severe headache, eye pain and a sore throat. 3. How does the vaccine work? Flu vaccines causes antibodies (cells responsible to fight off an infection) to develop in the body about two weeks after you get the shot. These antibodies provide protection against the virus. The seasonal flu vaccine protects against the influenza viruses that research indicates will be most common during the upcoming season. Traditionally it protects against three types of influenza: influenza A (H1N1), influenza A (H3N2) and influenza B. 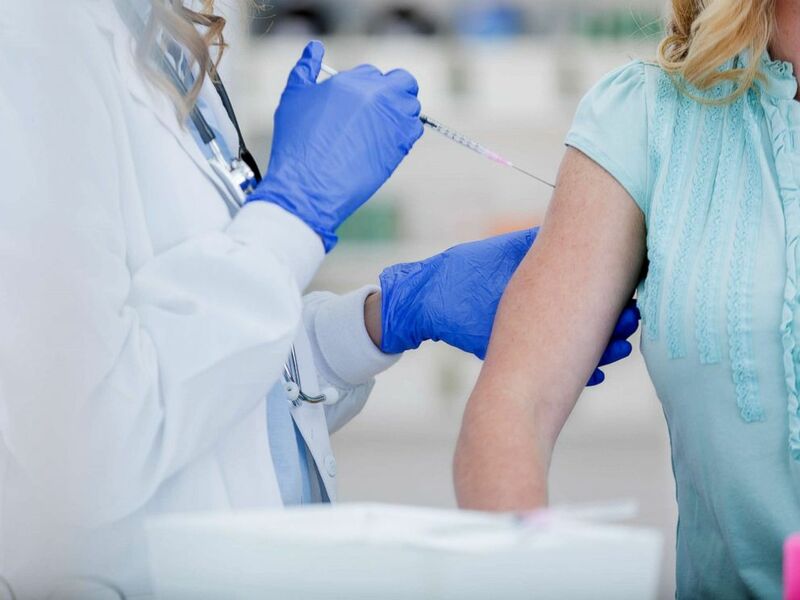 A stock photo of a woman receiving a vaccination. 4. Can I take medications instead of the flu shot? No, medications do not cure and are not recommended instead of the flu shot. Antibiotics don’t work against viruses. Some prescriptions can help treat flu symptoms. The medicines work by reducing the severity of symptoms if you start taking them soon after you begin to get sick. 5. What are side effects of the flu vaccine? 6. Does the vaccine work right away? No, it takes about two weeks after vaccination for antibodies to develop in the body and provide protection against influenza. This is why you may develop the flu around the time you get a vaccine because you were exposed prior to getting the vaccine and were not protected at the time you got infected. 7. Can the flu vaccine give me the flu? No, although people do tend to link the two. The vaccine cannot cause a flu illness. The vaccine either has a killed (inactivated) form of the virus that is not infectious or it is made with proteins from a flu vaccine virus that is attenuated, or “weakened,” and therefore cannot cause the flu. 8. What are the benefits of the flu vaccine? The obvious one is that it keeps you from getting sick with the flu, reduces risk of hospitalization from the flu and protects people around you. 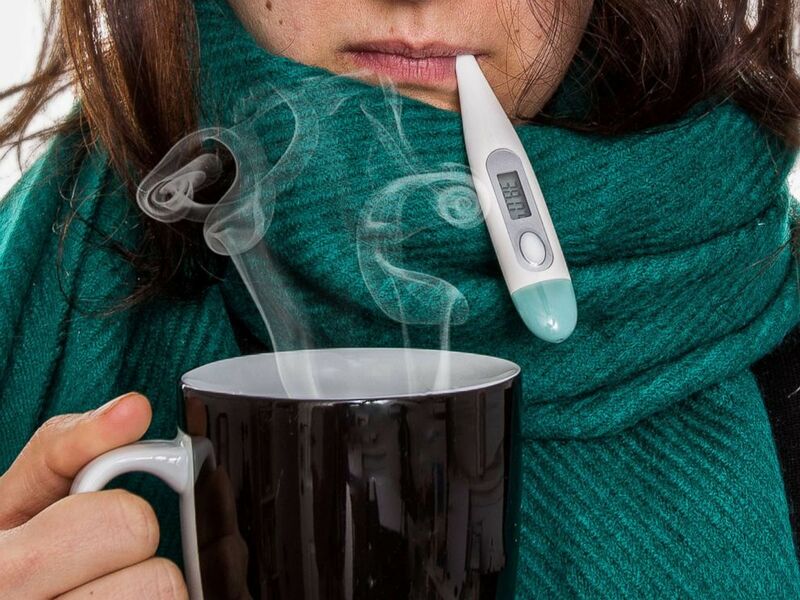 A stock photo of a woman taking her temperature and drinking a warm beverage. 9. Where can I get the vaccine? Grocery stores, pharmacies and doctor’s offices and hospitals offer flu shots. It does not matter where you go because they all use the same vaccine. It’s important just to get the flu vaccine as soon as possible. 10. Can I get flu even though I got a flu vaccine this year? Yes, unfortunately you may be exposed to a flu virus shortly before getting vaccinated, or because you may be exposed to a type of flu that is not included in the seasonal flu vaccine. The vaccine is not foolproof, but it is the best way to protect against flu infection. For more information, speak to your doctor or go on CDC’s vaccine supply & distribution web site. Dr. Tambetta Ojong is a family medicine resident at SUNY Downstate Medical Center and a member of the ABC News Medical Unit.